With its autumnal swirl of leaves dancing across its surface, the 16″ Vine Ornament is a cross between a representational and abstract shade design. The unusual mottled glass chosen for this shade are a mix of amber and peach tones, creating a warm, welcoming lamp. The shade is shown on the versatile Small Stick base (20″ tall). 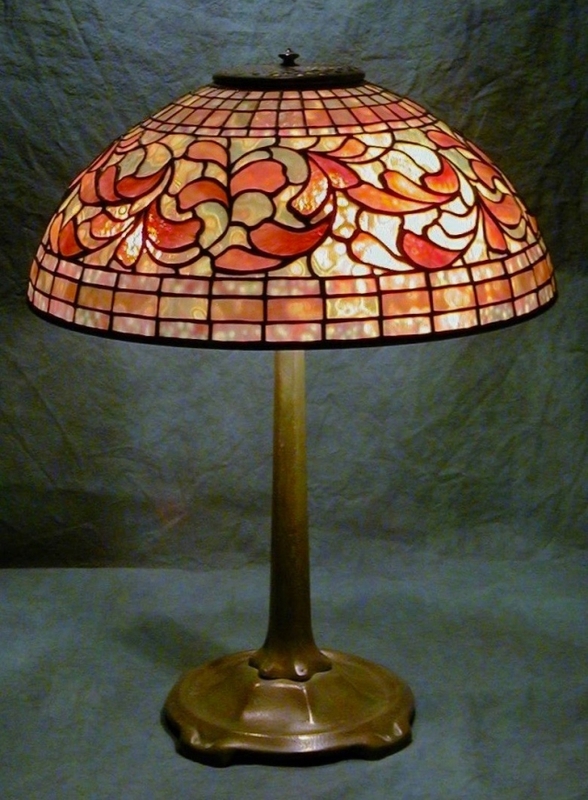 This lamp was created in 2002 as a showroom piece and is now in a private collection.